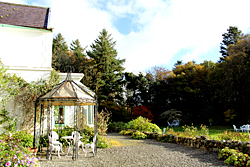 CASHEL: Beaches, Great walks, Totally unspoilt country side, Gaelic Speaking area, Closer to Galway City. Highlights: Cashel together festival which takes place end of July. Take the N59 from Galway. Pass Recess, continue along over a stone bridge past a turning for Roundstone and continue on and take the first left turn. Continue on and follow signs for Cashel.This area is a well kept Secret which needs to be discovered! South of Clifden it is a very special place. Unspoilt, peaceful, sleepy and beautiful, these are all words I would use to describe the area. It’s close to lots of places but far enough away not to care. There is lots of wildlife to see, sea and freshwater fishing , tranquil afternoons drifting afloat casting a line trying to catch the odd Salmon or Seatrout are available. The name Cashel derives from the Irish ‘An Caisheal’ Gaelic for a stone ring fort. 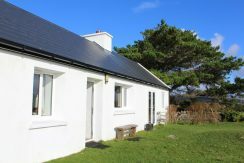 Connemara Coastal Cottages are proud to have a small number of high quality self-catering properties in this area. In 1969 General de Gaulle spent two weeks here after he resigned the presidency of France staying in the Cashel House Hotel. Cashel hill stands majestic over Cashel Bay, and at the top of the hill is a megalithic tomb; in the distance lie hundreds of lakes amid the bogs beyond are the Twelve Bens and Maamturk Mountains which dominate the horizon. Best of all to the north are the sandy coves and glistening seaweed of the waters of Bertraghboy Bay. Within the surrounding area is Glynsk House which serves food and has a nice craft/gift shop. 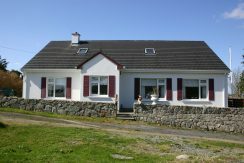 These cottages are in the Gaeltacht Region of Connemara. This means that most people will speak Irelands native language “Gaeilge”. But don’t worry they can all speak English too! 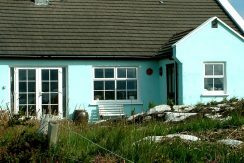 An idyllic seafront cottage with panoramic views of the bay and surrounding mountains.